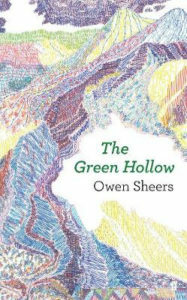 The Green Hollow, Owen Sheers’ new book, is a deeply moving poetic history of Aberfan, a beautifully rendered portrait of what the mining village was like, what was lost, and what it is like now. In 1966 a coal slag heap collapsed on a school in south Wales, killing 144 people, most of them children. Poet Owen Sheers has given voice to those who still live in Aberfan, the pit village in which tragedy struck, and uses their collective memories to create a striking work of poetic power. This is a portrait not just of what happened, but also of what was lost. What was Aberfan like in 1966? What were the interests of the people, the social life, the sporting obsessions, the bands of the day? What was the deeper history of the place? Why had it become the mining village it was, and what had it been before the discovery of coal under its soil? Perhaps most significantly: what is Aberfan like today?